Avaya Proactive Outreach Manager (POM) is a managed application of Avaya Aura ® Experience Portal, a new class of application, linking the capabilities within the platform more closely with the management infrastructure and services. POM provides a solution for unified, multichannel, inbound and outbound architecture with the capability to communicate through different channels of interaction like Short Message Service (SMS), or e-mail, or traditional voice and video. A campaign delivers a specific message to all customers in the database through selected channels such as e-mail, SMS, and voice. POM provides a Web-based wizard to create campaigns. A campaign typically has a name, a campaign strategy, and one or more contact lists. You can have either a finite campaign or an infinite campaign. You can set filter criteria on the contact lists. If you specify a filter criterion, POM applies the criterion at the beginning of a campaign and selects only those customer records that meet the specified criterion. You can define and associate one or more custom completion codes with a campaign when you need some user input. Goal-based campaign: A goal-based campaign terminates after receiving an expected number of responses from customers. Time-based campaign: A time-based campaign terminates after running for a specific time duration. For example, you can terminate a campaign after 12 hours. Completion code-based campaign: A completion code-based campaign terminates after achieving a specific completion code condition. For example, you can terminate a blood donation campaign after you receive 50 accepted responses. Natural finish: A natural finish campaign does not have specified finish criteria and terminates naturally after processing the customer records. records. You can set up any number of contact lists and associate one or more contact lists with a campaign. You can also use a single contact list in multiple campaigns. In a multitenant environment, you can associate a contact list with one or more tenants. Typically this customer data resides outside POM in a contact management system, and based on your campaign requirements, you must import relevant customer records into POM at regular time intervals. You can set up any number of contact lists and define any number of attributes. Using POM, you can import customer records into a contact list from various external data sources such as flat files, external database and use various Web service methods to create, read, and update customer records. You can export all customer records into a comma-separated values (.csv) file. Attributes are properties of customer data. Based on your campaign needs, you might need custom attributes such as Amount Due, Due Date, and BloodType. Using POM you can set up custom attributes, and import data to these attributes. A typical custom attribute has a name, data type, and privacy flag. The privacy flag helps you to define the visibility of this attribute in a multitenancy setup. With data sources, you can organize customer records into a contact list. You can define two types of data sources, file based and database based. With the file-based data source, you can import customer records from a .csv file into a contact list. The .csv file can either be on a local file system or the File Transfer Protocol (FTP) server. With the database-based data source, you can import customer records from an external database. You can run the data source to import data. You can also define recurring schedules to import data at a fixed interval from an external file or a database. POM uses various notification channels to run campaigns: SMS channel, email channel, and voice and video channel. Email support only text and multiple attachments. ou can use the Pluggable Data Connector (PDC), a plug-in, to gain access to POM specific operations using Voice Portal or an Avaya Aura ® Orchestration Designer application. Welcome to psql 8.3.10, the PostgreSQL interactive terminal. You are now connected to database “VoicePortal”. Solution: From the Voice Portal (VP) web Administration page, remove and create back the POM server. Check the box in front of the POM server name and click the Delete button. Click the Add button to create back the POM server and fill the POM Server Name and POM Server IP Address fields. When running the campaign, the called contacts ring only once. In the POM report, the calls are identified as transferred however the calls have not been answered. The strategy has been developed to use the AvayaPOMAgent application which proceed with a Blind transfer. When POM is installed, the POM plug-in is installed on the Experience Portal. This plug-in incorporates the POM Web application and POM tools that look after licensing, logging, and alarming. POM integrates with the EPM to provide common administration and management tasks like Single Sign On (SSO), user management, logs, alarms and license management. The POM plug-in is only installed on the primary EPM. When the EPMS plug-in is installed, the plug-in registers POM as a managed application with Experience Portal, deploys the POM Web application on the Tomcat server and initializes POM related configurations. The POM server consists of core POM components required to execute campaigns and communicate with the various POM Web services. The POM server can be installed on either the primary EPM or auxiliary EPM. When installed on more than one hardware server, the POM server supports high availability and failover capabilities. Campaign Director is a Linux service responsible for triggering campaigns and data imports at scheduled date and time. Campaign Director is also responsible for pausing and resuming campaigns based on user action and terminating campaigns if their finish criteria are specified. When POM is installed in a multiple server configuration, only one Campaign Director is in the active state and others are in the dormant state. For a multiple server configuration, the Campaign Director is responsible for assigning the contacts to be processed for any campaign across POM servers. Campaign Director is also responsible for redistribution of load in case of failures. Web services are installed as part of the POM server and are accessed from the external applications. POM Pluggable Data Connector (PDC) uses Web services to interface with POM. Web Services can be used to access various contact attributes to play personalized prompts or make certain decisions in the application flow. A single server deployment can be used for smaller capacity deployments (up to 75 Predictive agents).The illustration below depicts the single server configuration. When using the single-server configuration, a separate server will be required for failover. The configuration includes a single server running the EPM, Media Processing Platform (MPP), POM software along with the database and application server. For single server installation, the POM server and EPM plug-in packages are installed on the primary EPM. The multiple-server configuration includes one or more POM servers installed on the primary EPM and auxiliary EPM. The EPMS plug-in resides only on the primary EPM and the rest of the POM servers reside on the auxiliary EPM systems. In this configuration, one of the designated POM servers controls the failover and load balancing when using the agent-less notifications. The following diagram shows a multiple-server configuration. For simplicity, the MPPs and App Servers/Speech Servers are excluded in this diagram. For scalability, POM can be configured with multiple POM Servers and Auxiliary EPMs with multiple MPPs. They can all be served from the same external database server. The database server is used for the contact lists, campaigns, strategies, reports, and other critical data. When executing campaigns in this configuration, the Campaign Director distributes the load across the POM Servers. When one of the Campaign Directors configured as the Master Campaign Director crashes, the Campaign Director on another POM Server that was initially in dormant state automatically becomes the Master. If a particular POM Server crashes, after a certain interval the Master Campaign Director reallocates the active campaign on the crashed POM Server to another POM Server. If multiple EPMs are available for a campaign, the POM Server uses all EPM Servers for load balancing and failover. POM uses the EPM outbound Web service to launch a call. Try the COR for the user/station. Affects outgoing public network trunks (CO, DIOD, FX, WATS, and ISDN public-network). If the Alcatel ISDN-PRI trunk group is a TIE type, then it’s not considered a Public Network trunk and won’t be eligible for the “Outgoing Trunk Disconnect Timer” feature. Trong các trung tâm chăm sóc khách hàng việc chăm sóc khách hàng tập trung phần lớn vào các dịch vụ inbound. Đối với loại hình dịch vụ chăm sóc khách hàng việc sử dụng các cuộc gọi outbound cũng rất cần thiết để tăng sự thỏa mãn khách hàng hay mở rộng các chiến dịch chủ động từ DN đến khách hàng của họ. Về mặt kỹ thuật cũng có nhiều kỹ thuật quay số cuộc gọi ra từ trung tâm chăm sóc khách hàng. Trong bài này tôi sẽ mô tả 3 loại quay số phổ biến nhất. Cách dịch vụ outbound hay được biết đến thông qua POM (Proactive Outreach Manager) của Avaya. 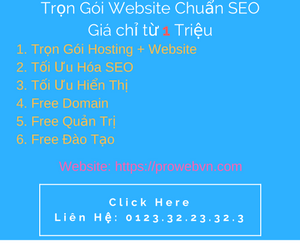 Ở chế độ này agent có quyền xem trước các thông tin cuộc gọi trước khi click to call. Và tất nhiên agent của thể bỏ qua cuộc gọi trong list để đến cuộc gọi tiếp theo. Việc này sẽ tăng thời gian xử lý cuộc gọi. Phù hợp với các việc kinh doanh phức tạp, nội dung cuộc gọi linh hoạt. Agent sau khi thực hiện cuộc gọi sẽ có thời gian Wrapup và Available lại, khi agent available lại hệ thống sẽ tự động thực hiện cuộc gọi tiếp theo mà không có thời gian nghỉ cho agents. Ưu điểm là thời gian nhanh, số lượng cuộc gọi thực hiện lớn, nội dung cuộc gọi giống nhau (không có sự khác biệt lớn giữa các cuộc gọi). Cuộc gọi chỉ thực sự kết nối khi khách hàng ở đầu dây bên kia trả lời cuộc gọi, điều này giúp tiết kiệm thời gian chờ của tư vấn viên. Sử dụng trong các trung tâm CC có số lượng cuộc gọi lớn, sự chuyên nghiệp của tư vấn viên, chi phí cho mỗi cuộc gọi cao. Scopia Management provides a comprehensive management, control and scheduling solution to efficiency administer and enable easy-to-use video conferencing.